The UK Financial Conduct Authority (FCA) has warned that Primus Forex Financial Group is a clone of the renown forex brokerage Primus Capital Markets UK Limited, which holds a license from FCA, among others. According to FCA, Primus Forex Financial Group is not authorized to carry out regulated financial services in the UK. 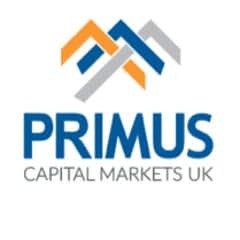 Primus Capital markets UK was founded in the year 2008 by experienced Forex traders and offers a platform to trade in CFDs for foreign exchange, commodities, energy sources and other indices. The firm is registered in England and Wales with company number 06592025. It is also authorized and regulated by the Financial Conduct Authority (FCA). The clone company operates on the http://www.primusasia.com website and provides the address that actually belongs to the original company Primus Capital Markets UK Limited (https://primuscapital.uk). Also, the clone is not regulated by FCA or any other authorities. Clone firms use some or all of the details of a genuine entity, aiming to convince investors they are indeed the authorized company or that they work with them. The UK is a strong forex market with tight regulation. The FCA is renowned for its strict standards and tight supervision. The regulator keeps a register of unauthorized forex brokers that target local citizens and regularly issues alerts against entities that could potentially hurt local investors. Be aware of such companies before dealing with any brokerage company.